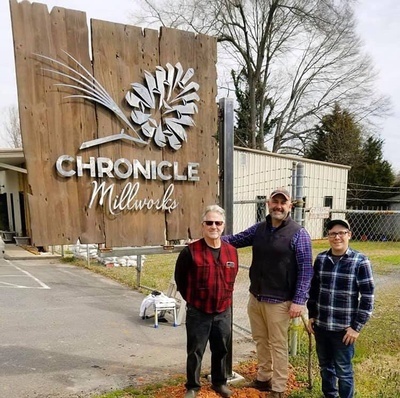 Barbecue and brews and the smell of centuries old wood will welcome Chamber members and friends to the Network After Work at Chronicle Millworks. 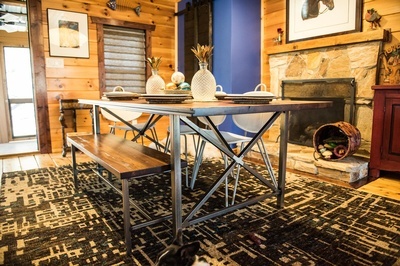 That’s where owner John Church and Brian Hackett are reclaiming and bringing back to life beautiful wood that for the past century formed the floors and beams of the textile mills which drove the economy of our region. They’re designing and building tables, chairs and other furniture from old mill wood. This promises to be a unique Network After Work. The open house will begin at 4 p.m., with the Chamber event starting at 5:30 and continuing until 7. There’s no charge to attend, and non-members interested in the Chamber or in Chronicle Millworks are welcome. Participants will be invited to purchase raffle tickets for a chance to win a coffee and end table set valued at $1,500, with proceeds going to the Gaston County Public Libraries.